Longtime Northern Trust executive Philip W. K. Sweet Jr. had profound love for family and nonprofit causes. Mr. Philip W. K. Sweet Jr., former chairman of the board and chief executive officer of Northern Trust Corp., who was a longtime leader in civic affairs in Chicago, passed away peacefully on Saturday, March 2. He was 91. During his tenure as the head of Northern Trust, the bank enjoyed growth in the master trust business (custody accounts), securities lending, and wealth management areas. It expanded its foreign exchange trading operations, its London branch, and its U.S. presence, especially in Florida and Arizona along with Illinois. After members of the Smith family ran the bank for 90 years, in 1981 Sweet became only the second non-family member to lead the venerable institution. He had started his career at Northern 28 years earlier as an employee in the bond department. The Lake Forest resident was named president in 1975. Soon after leaving Northern Trust at the end of 1984, the gentlemanly banker kept his hand in the business by running banks near Champaign owned by his wife Nancy’s family. But he also focused on nonprofits. He became chairman of the board of the Chicago Zoological Society, which runs the 216-acre Brookfield Zoo. During his tenure, a new Seven Seas Panorama opened and became highly popular. He raised tens of millions of dollars to help lead the zoo into the 21st century. Sweet also served as chairman of the Chicago Sunday Evening Club, chairman of the University of Chicago Graduate School of Business Alumni Association, president of the Harvard Club of Chicago, president of the Commonwealth Club, and vice chairman of the John F. Kennedy Center for the Performing Arts in Washington, D.C. He served as a board member of Rush University Medical Center, the Commercial Club, the Economic Club, and served on the Trustees Committee of the Chicago Community Trust. Sweet was born on Dec. 31, 1927 in Mt. Vernon, New York, the son of Philip W. K. Sweet and Katherine Buhl Sweet. He grew up sailing on Long Island Sound. 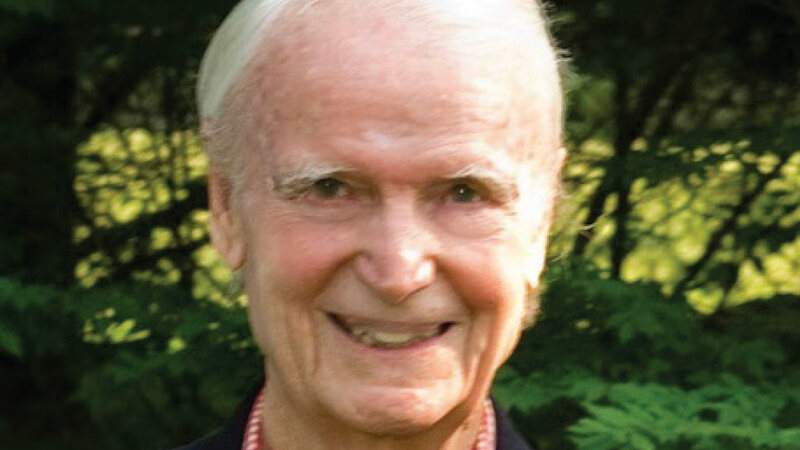 After graduating from Phillips Andover Academy in 1946 and from Harvard College in 1950, he was married to his college sweetheart Nancy Frederick. He served as an officer in the U.S. Navy during the Korean War aboard the U.S.S. Holder and the U.S.S. Toledo until the armistice agreement in 1953. Sweet enjoyed tennis and squash, but his first love was golf. He was a member of the U.S. Seniors Golf Association and played in tournaments across the United States. He served as president of Shoreacres and on the boards of Onwentsia, the Chicago Club, and the Lyford Cay Club. His family enjoyed a reunion in Lake Forest on the Fourth of July every year along with a special gathering at the Rolling Rock Club in Pennsylvania to celebrate his 90th birthday in 2017. He felt particularly blessed to have all three of his children living in Lake Forest or nearby and to have three of his grandchildren living in Lake Forest. Watching his grandchildren play for their teams in hockey, tennis, soccer, and basketball—as well as joining them for golf—was always the highlight of that day. His beloved wife of 66 years, Nancy, passed away in 2016. His survivors include his three children Sandra Harkness Sweet (Mira), Philip W. K. Sweet III (Carol), David A. F. Sweet (Tricia), along with six grandchildren: Stephanie Sweet Ingersoll (Dan), Stacy Sweet Patlovich (Eric), Marilla Sweet Perkins (Luke), Hannah Harding Sweet, David A. F. Sweet Jr., and Philip W. K. Sweet II. He is also survived by five great grandsons – Henry Ingersoll, George Ingersoll, Whit Patlovich, Andrew Patlovich, and Fritz Perkins. His sister, Virginia Sweet Cobb, also survives him. Services will be private. In lieu of flowers, donations may be sent to the Chicago Zoological Society, 3300 Golf Road, Brookfield, IL, 60513 or a charity of your choice.